Poor mama! 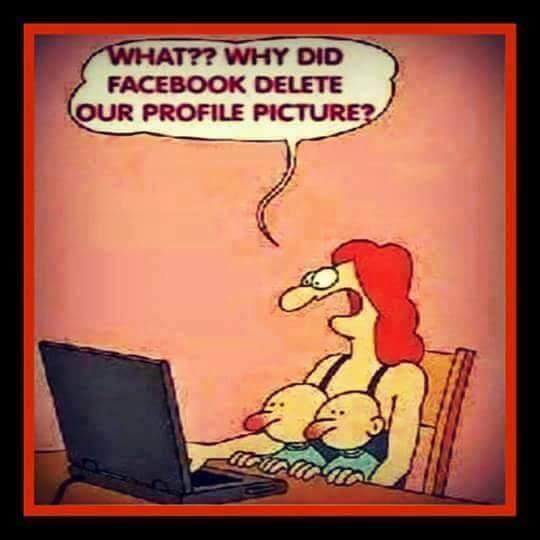 All she wanted was a profile picture with her and her two babies. Well, Facebook apparently had different ideas on what her babies actually WERE. And, I have to admit, at first glance, I thought the same thing. Not gonna lie, though…sometimes I do have a dirty mind. And, I know I’m not the only one, hmmmm?? What about you? What did you first see in this confused mom illusion? Did you see something completely innocent? Or did your dirty mind creep in and take over too…? Don’t forget to rate this confused mom illusion before you go! And, if you like cartoon illusions, head over and check out this Escher on the beach comic. Prev Tunnel Illusion — Wile E. Coyote Style! Next Awesome Small Scale Sidewalk Chalk Art by David Zinn! Definitely thought it looked different in the thumbnail preview than in full size!